One of the two disabled Labour MPs elected to parliament for the first time earlier this month is a former campaigns officer for the British Council of Disabled People (BCODP), it has emerged. 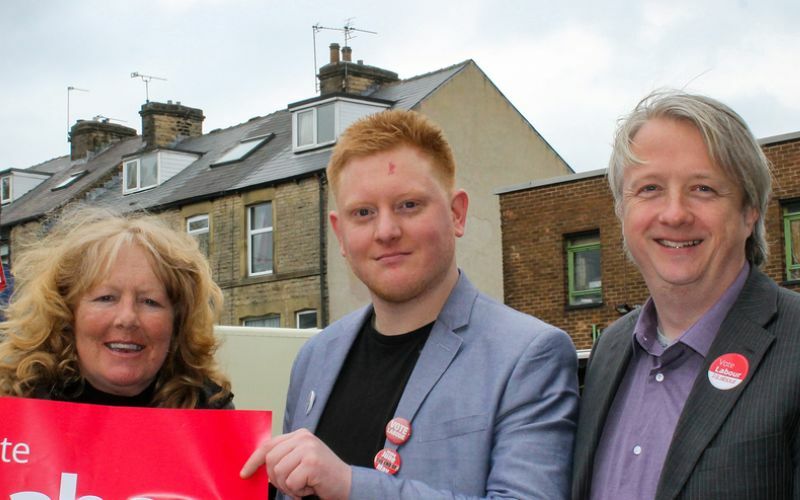 Jared O’Mara (pictured, centre) caused one of the shocks of the general election when he ousted the Liberal Democrat former deputy prime minister Nick Clegg from his Sheffield Hallam seat. But it has now emerged that O’Mara was a press, parliamentary and campaigns officer for BCODP – at the time the country’s leading representative organisation of disabled people’s organisations – for a short period about 10 years ago. In one BCODP newsletter from 2006, he wrote about working with prominent disabled activists such as Jane Campbell [now Baroness Campbell], Rachel Hurst and Tara Flood on opposition to a bill that would have legalised assisted suicide. O’Mara, who until this month helped run a bar and live music venue in Sheffield, was also quoted in the now-defunct Disability Now magazine, in May 2006, calling on Gordon Brown, at the time Labour’s chancellor, to do more to alleviate disability poverty. But she said that what was important was what the two politicians do now they are MPs. Anne Pridmore, who chaired BCODP at the time O’Mara was working there, said she had been surprised to hear of his election. Pridmore – who also welcomed de Cordova’s victory – said she was pleased to see the election of a former BCODP staff member to the House of Commons, and said it would “most definitely” be useful to disabled people to have an MP who had been so close to the disability movement. Despite his experience with BCODP, there may be some concern among some disabled activists that O’Mara, who himself has cerebral palsy (cp), is also a long-standing trustee of Paces, a specialist centre in Sheffield for children with cp which specialises in conductive education and also runs a special school*, of which he is a governor. Conductive education is still seen as controversial among many in the disability movement, years after Professor Mike Oliver described its reality as “oppressive to disabled people and an abuse of their human rights”. *The disability charity Scope, an advocate of conductive education, describes it as a system of learning that “teaches those with movement difficulties to learn actively to achieve purposeful movement which can then be applied throughout daily life and learning”.